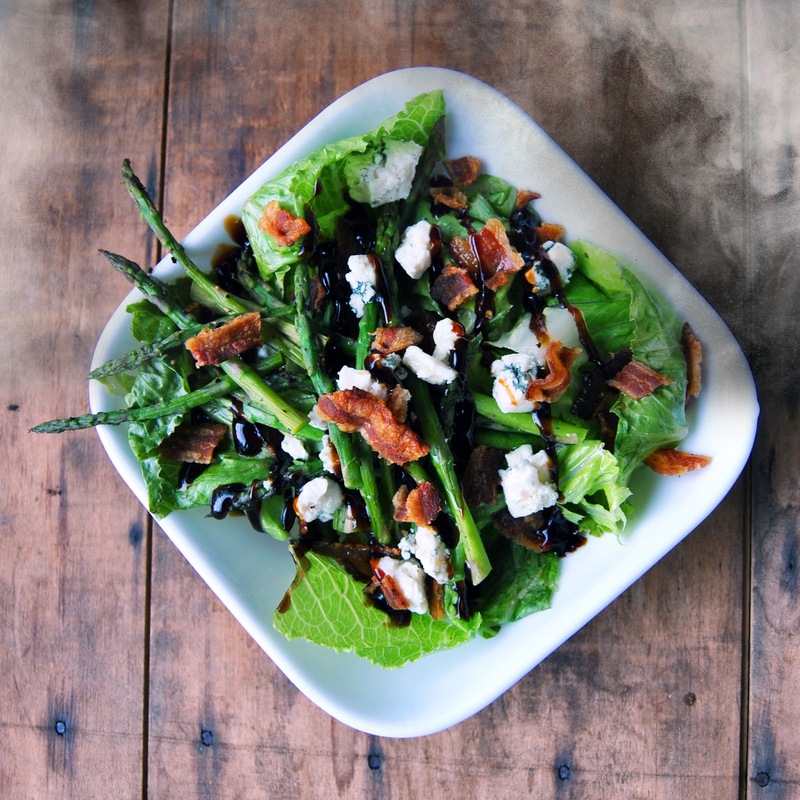 You may be privy to the Grilled Salad trend, but have you ever tried Smoked Salad? Use a vacuum sealer to marinate the asparagus. Place asparagus into a quart vacuum bag. Sprinkle in the Jerky Seasoning, then seal the bag. Place into the refrigerator and allow to marinate 4-6 hours. Soak your woodchips for 30 minutes. Preheat your Smoker to 200ºF. Just before you're ready to smoke it, place the head of lettuce into a gallon vacuum sealer bag. Pour in 1/2 cup water. Vacuum seal so that the water gets sucked into the lettuce, but do not crush the lettuce. Remove the lettuce from the bag immediately - it's ready for the smoker. Why seal the lettuce with water? Two reasons: To keep the lettuce crisp in the smoker and to adhere the smoky flavor to the lettuce quickly. Infusing the lettuce with water will keep the stems and leaves strong. 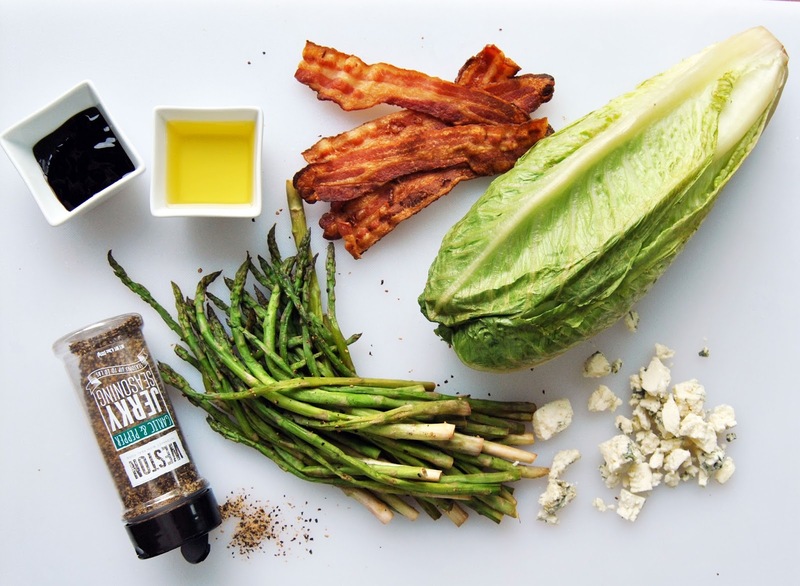 Smoke tends to get trapped in moisture, so the flavor will be locked within the water in the lettuce. You must be careful not to go through the full vacuum process and crush the lettuce. You just want to pull the water in, not break the cell walls (which is what makes lettuce mushy). Fill the wood chip box. Place the lettuce head and asparagus into the smoker and smoke for 20 minutes. While they smoke, bake your bacon at 400ºF for 15-20 minutes. 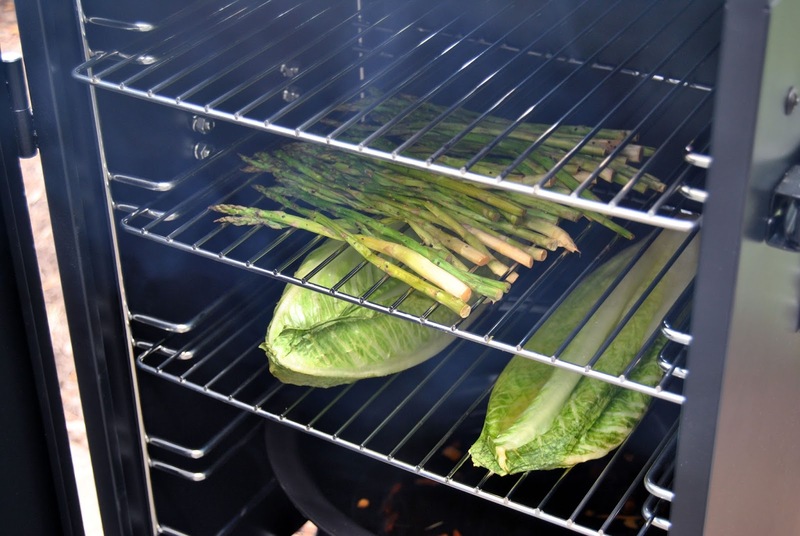 Remove the lettuce and asparagus from the smoker and allow to cool. You may want to chill them in the refrigerator for 20 minutes. 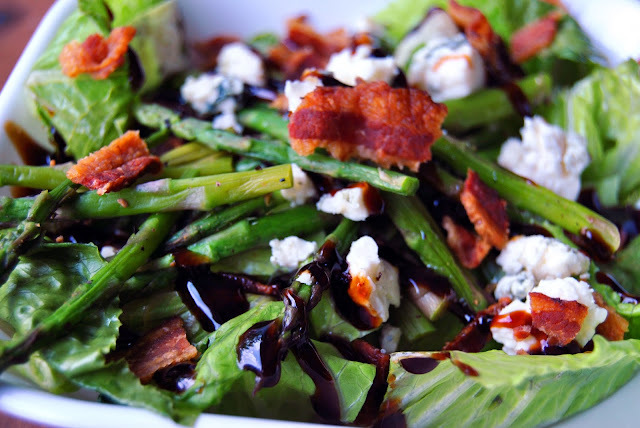 Chop the lettuce & asparagus, crumble in the bacon, toss in the blue cheese, and drizzle with olive oil and balsamic glaze. Enjoy!